I have an electric brake problem that I am hoping you may be able to shed some light on. I have a 30-foot Jayco travel trailer being towed by a 1999 Chevy Suburban using a time-delay brake controller. I started having a problem with the braking, where braking would be intermittent (work and not work), with the controller reporting an overload (shorted) condition in the brake circuit. Thinking the controller, I replaced it under warranty, and had a second shop verify the wiring on the truck. After doing this, the problem persisted. Checking impedance between the blue wire and the white wire on the trailer harness connector, in an attempt to see if I had a short in the electric brake circuit, I consistently get .8 to 1 ohm. I expected to see more, but I don't really know what is considered normal. Being that things appear to be pointing to a shorted condition, supported by the controller error, I am guessing that if the controller did not have an overload function that I would be blowing fuses and/or popping a breaker. My axle documentation suggests testing voltages at each brake while the trailer is connected. I am hoping to avoid this. Am I remotely looking in the right direction, or am I chasing a non-existent problem in my examination of the trailer-side brake circuit (white to blue) impedance review? Your thoughts on this problem are appreciated. 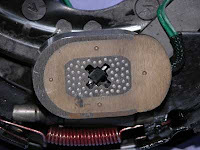 Each brake magnet will draw about 2.5 – 3.0 amps Mark, depending on the size of the brakes. You’re measurement of about 1 ohm for a four-brake system is pretty close to what it should be. However, I would recommend a complete brake inspection at each brake assembly. Look for worn insulation on any magnet wire where they pass through the backing plates. I would also consider an ill-adjusted controller to be a contributing factor. I’m not a big fan of the timer-based controllers, but I do know they are typically a little temperamental to set up correctly. Without a complete inspection, I’d suspect that the timing function of that type of controller is not quick enough to respond to the additional braking voltage required by your trailer configuration. I’ve sent you a recent article that may help. It covers the basic maintenance and troubleshooting procedures for electric brakes. It also contains a section on properly setting up the controller. See what you think and let me know how it turns out. 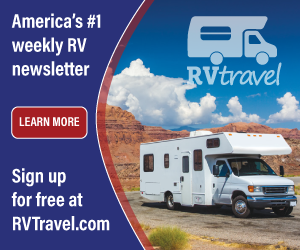 (Anyone interested in receiving a copy of Gary’s article, Trailer Brake Maintenance, simply send a pre-stamped, self-addressed, long envelope to: Bunzer Consulting, Inc. PO Box 19562, Seattle, WA 98109.